Added on April 28, 2014 by Sturla Mar Jonsson. DesignMarch 2014 was better than ever this year with lots of products and interesting things to see and experience in Reykjavík. 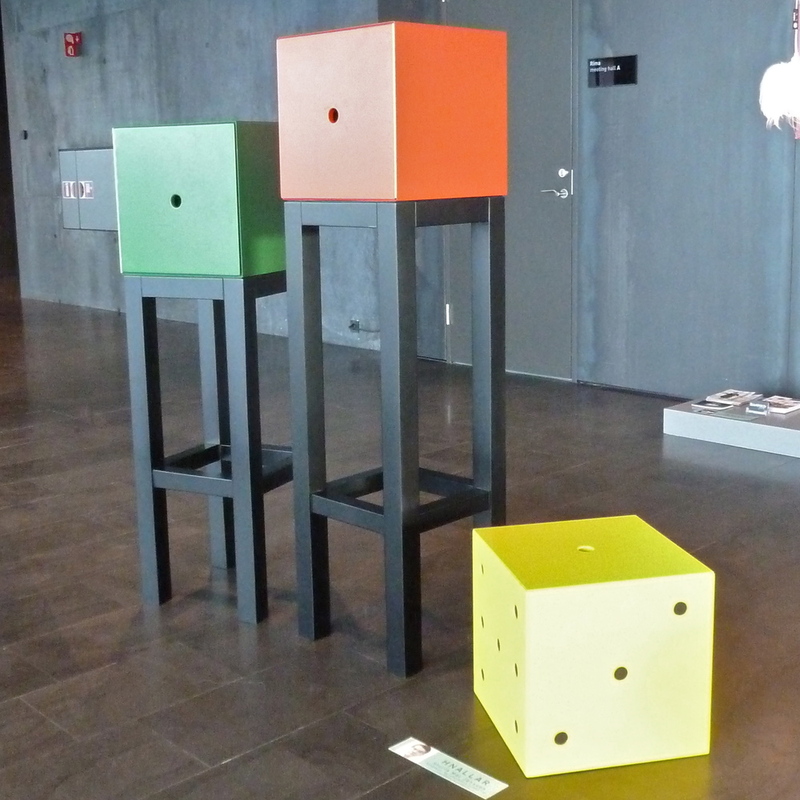 Sturla participated in two venues taking place in Harpa Concert Hall - the "Íslensk Húsgögn" (Icelandic Furniture) exhibition by Icelandic furniture manufacturers and the "7 Saman" (7 Together) exhibition showing works of seven independent designers. 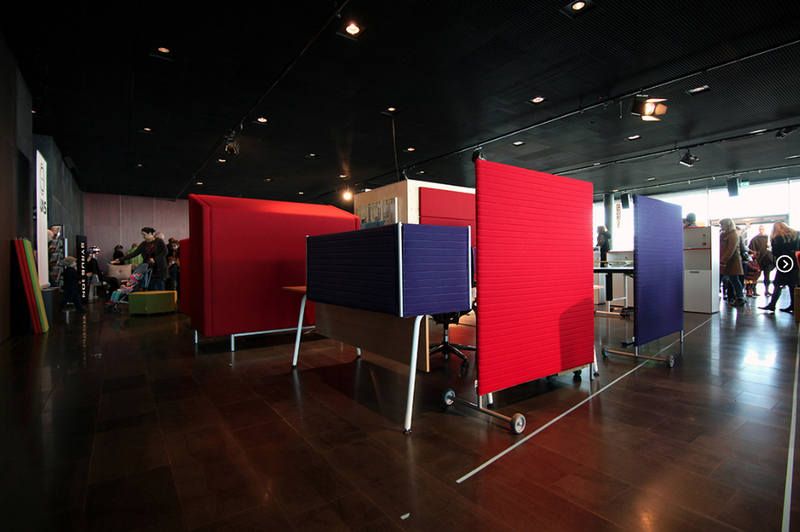 Axis introduced a new range of Stemma school furniture, "Símaklefi" a sparkling red Call Box with textile inspired by the Eyjafjallajökull eruption , "Léttveggir" transportable partition screens, "Strendingar" hexagonal multi- purpose pods and new additions to Stemma office furniture and the popular Einrúm high-back sofa. 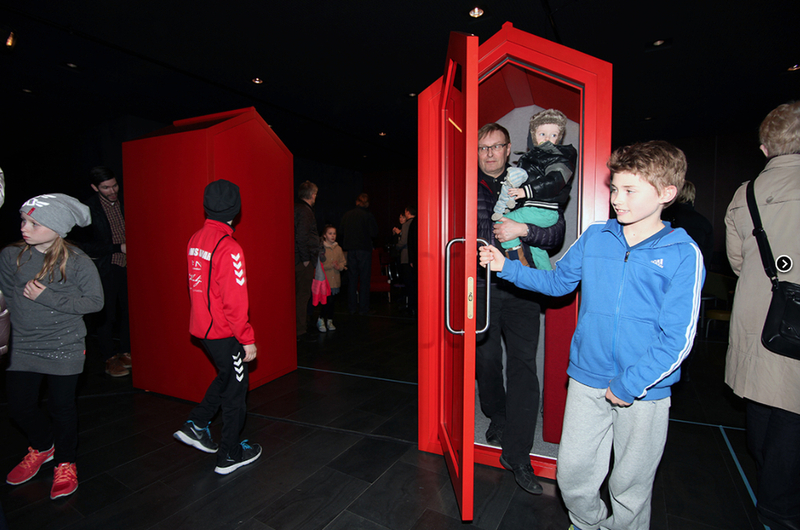 Also on show were various sound absorbing solutions which could be tried out in a specially made sound chamber. Sofa with roof, office desk. partition screens. 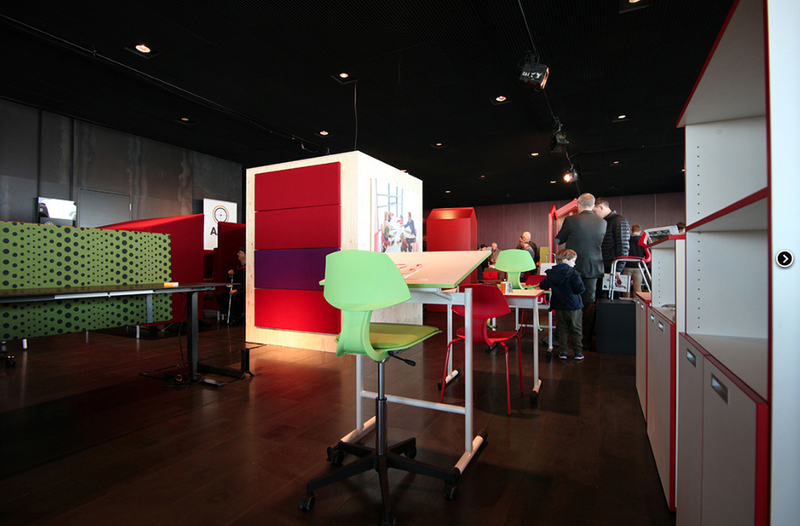 School furniture, sound absorbing panels. Visitors of all ages trying out the Call Box. Partition screens in the Harpa lobby. Trying out the new Einrúm sofa with roof, lighting and usb outlets. The stand and the sound chamber. 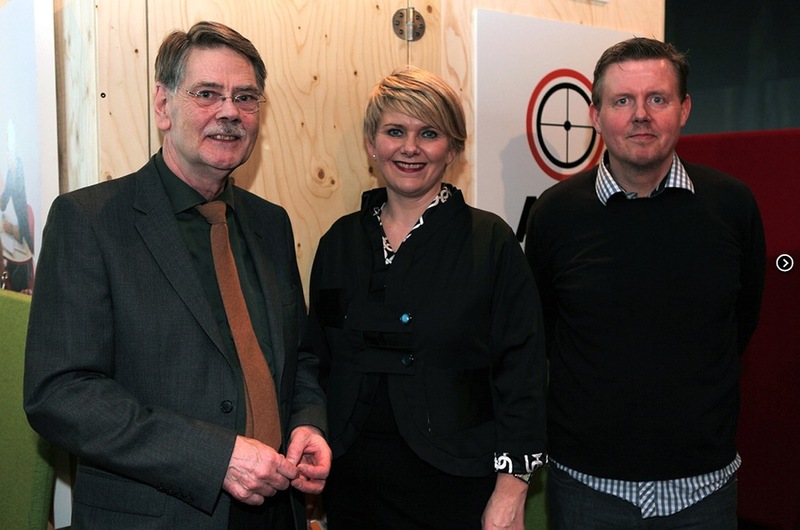 Designer Sturla and Axis´s managing director Eyjólfur Eyjólfsson with Ragnheiður Eín Árnadóttir Minister of Industry and Commerce. Sólóhúsgögn introduced "Glæsir" and "Sesta", thee new chair frames for Italian chair shells, "Retró" a new line of table tops with steel edges inspired by the 1950-1960´s and the fully developed "Gotti" stackable chair which was introduced last year. Glæsir chair frames with wooden Italian seating shell. Sesta chair frame with Italian plastic shell. The "7 Saman" exhibition showed a different approach with "Hnallar" - three cabinet boxes in different heights and colours. When opened the interior has the same colour as the exterior of the next box. 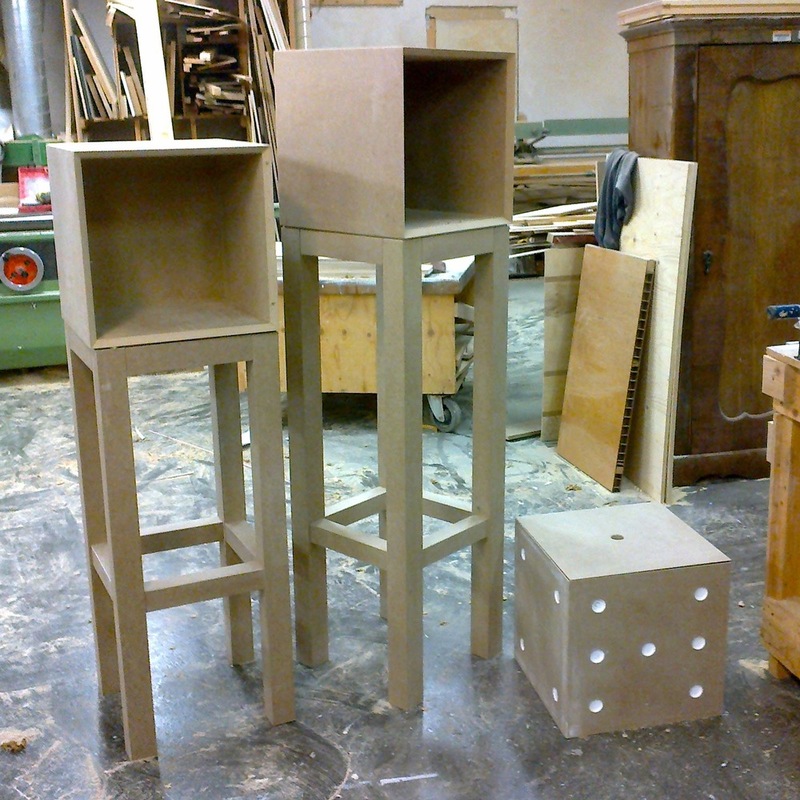 These were custom made by the designer for the exhibition and are the first of a series of one-off experimental furniture which he will make in his newly acquired workshop. One box was given away in a quiz on Facebook and the winner Aldís Líf Vigfúsdóttir and her family collected it promptly at the end of the closing day. See link above for full list of participants. Hnallar experimental furniture, green, red and yellow on the outside. Hnallar experimental furniture, red, yellow and green on the inside. One box was given away in a Quiz on Facebook. Here are the lucky winners collecting it.